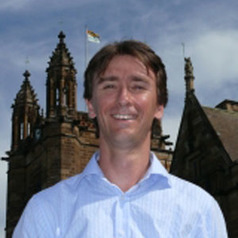 Stephen Cattle graduated from the University of Sydney with a BScAgr (Hons I) in 1991 and a PhD in Soil Science in 1995. In 1996 he was a Postdoctoral Fellow in the Department of Agricultural Chemistry & Soil Science, and in 1997 he accepted a lectureship in soil science in the Faculty of Agriculture, Food & Natural Resources. Between January 2002 and June 2003, Stephen was the Chair of the Teaching and Learning Committee, and the Associate Dean for Undergraduate Studies (BScAgr, BHortSc, BLWSc, BAnimSc degrees) for the Faculty. He has been the coordinator of Advanced Pedology and the unit coordinator of Soil Science 2 (SOIL2003) since 1997. Stephen has been a member of the Australian Soil Science Society Inc. (ASSSI) since 1991, and has served as the Newsletter Editor of the NSW Branch of the Society. In 1999, he co-organised a 5-day workshop in soil science under the auspices of the ASSSI (NSW Branch) and the University of Sydney. Proceedings of the workshop were published in 2001. In 1999, Stephen was the Treasurer for the International Union of Soil Science's Pedometrics Working Group symposium in Sydney, and in recent years he has presented papers at soil science conferences in Montpellier (France), Minneapolis (USA) and Christchurch (NZ). In 2001, he attended a 5-week course in micromorphology in Napoli (Italy).